As a business owner, you’re probably fully aware of the fact that shipping is an integral part of it and that is why you need to make sure that you’ll do everything you can in order to save big on shipping costs. Therefore, if you want to achieve that and also improve your customer satisfaction, then here are some of the tips that may help you do just that. 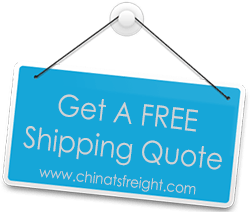 There are a lot of shipping companies out there that you can consider using and the good news is that each of them has their own shipping options. What this means for you is that you can do a lot of research in order to learn more about the one that has the best packaging options and also the lowest shipping costs. Keep in mind though that when it comes to shipping, it’s not only about pricing. You need to research companies that also include insurance, signature confirmation, tracking and any other options that your clients may like. In order to know exactly how much your items weigh, it’s very important that you make use of a postage meter. By doing so, you’ll be able to save up to twenty percent on shipping costs on a yearly basis and when you do the math, you are going to realize that translates into a very large amount of money. A postage meter costs between twenty five and fifty dollar and the good news is that using one you can easily print a postal marking and also weigh your mail. One thing to bear in mind though is that it needs to handle your typical shipment’s weight. If you want to reduce shipping costs for your clients, but also for yourself, depending on your operations, then it’s very important for you to consider using the lightest packing materials you can find. It’s also a good idea that you consider recycling shipping supplies that you get when shipments are sent either to your business or to you. Last but not least, you should consider using a flat rate shipping option. What this means is that you’re going to pay a fixed cost in order to ship your goods, but their size and weight need to conform to a predetermine maximum size and weight that’s specific to the box you’re going to use. What’s great though is that as long as your item doesn’t weigh more than the maximum weight allowed, the shipping costs are going to be the same.